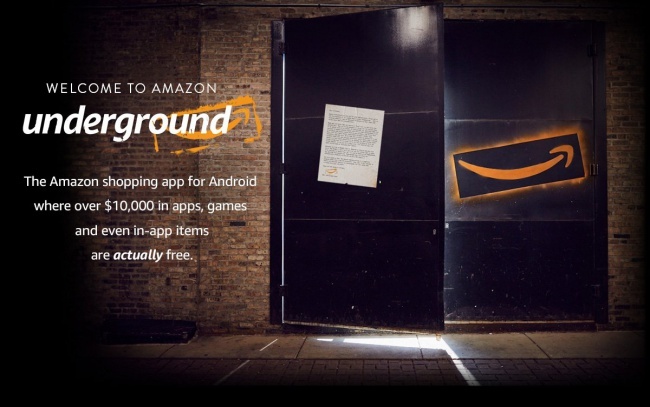 Amazon Underground features over $10,000 worth of apps that are completely free, and stripped of all in-app purchases. These days, "free-to-play" more often than not translates to "free-to-download-and-then-you-have-to-pay-shittones-with-in-app-purchases". As such, there are very few apps and games that are actually free on the Google Play store. Amazon shares your frustrations with freemium titles, and has today revealed Amazon Underground - a new app store that features over $10,000 worth of "actually free" apps - completely stripped of all in-app purchases. "Many apps and games marked as 'free' turn out not to be completely free," explained Amazon in a statement. "They use in-app payments to charge you for special items, or to unlock features or levels." It explained that in Amazon Underground, users can download 100% free versions of popular premium apps such as OfficeSuite Professional 8 and games like Goat Simulator stripped of their microtransactions. But how is this possible? Surely developers wouldn't simply give away their games for free. Essentially, Amazon explains that it would be footing the bill - by paying software developers on a "per-minute played" basis. Presumably, what Amazon gets out of this is exposure, as the "Amazon Underground" app is simply a part of the main Amazon marketplace app, and users who download it to get the free games may end up buying something on Amazon. You can see the full list of "Actually Free" games right here. To download the app, you'll have to visit amazon.com/underground on your Android phone, rather than the traditional method of simply downloading from the app store.